For every blockbuster star, their are a hundred actors who practice their trade on the “small screen.” With the productions from cable channels such as HBO, and the expansion of online streaming sites into the creation of their own “TV” shows, the quantity and level of quality on display in today’s series has increased tremendously. Season premiers now frequently generate more buzz than premiers on the big screen. Wit that in mind, we thought it’d be interesting to take a look at what shows people have been looking up on IMDB this summer (through Google). 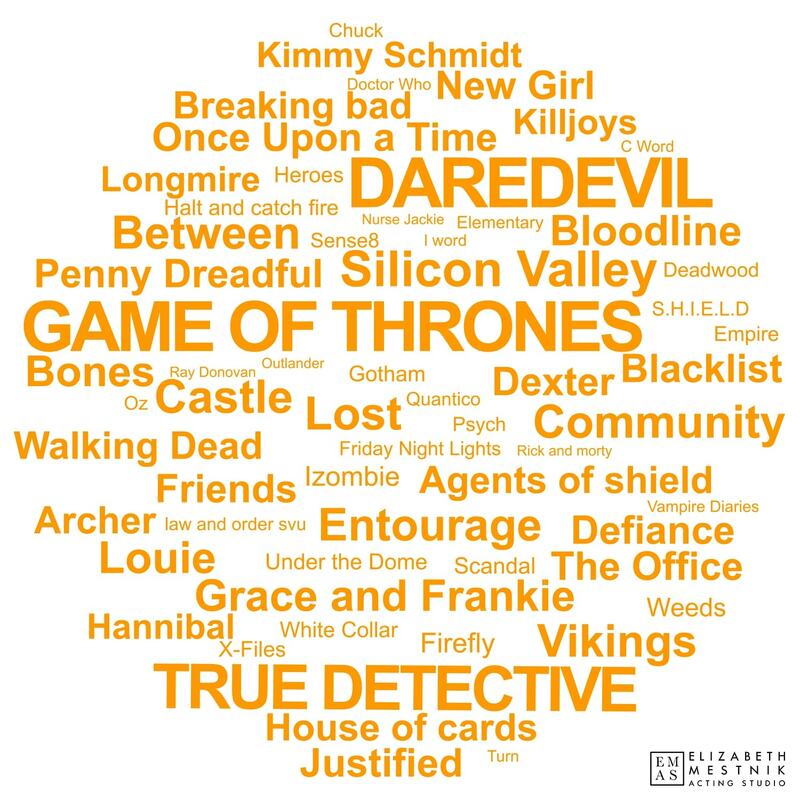 The word cloud below illustrates the most-searched series in mid Summer of 2015. If you have aspirations to act these or other series, check out our scene study/on camera acting classes.